Since making his return form injury the Ecuadorian winger has been a major player in the back end of the season for United. He is by definition a traditional winger. He hugs the touchline, gets behind full backs with pace and delivers deadly crosses into the area. If Barcelona do play a high defensive line Sir Alex Ferguson would definitely look to utilize the right winger’s pace by requesting his team-mates play balls over the top to exploit the space. On the other hand if they play a slight deeper line, as they did in the semi-final against Real Madrid, Valencia is comfortable in possession he passes the ball well and combines with his team-mates to good effect to get around opponents, he also excels in 1v1 situations. In the attacking third he has proven himself to be very decisive, he is currently third in the team in both the Champions League and the Premier League with 1.67 and 2.3 key passes made per game. 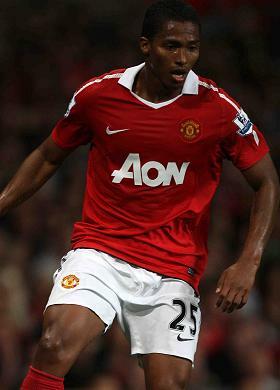 Defensively, he is quite sound as he tracks back when the ball is lost and is strong in the tackle. Barcelona, who usually rely on their fullbacks to give them width in the attacking phase would surely test Valencia. His manager though will not be losing much sleep over this as he gave a good account of himself at right-back against Chelsea in the quarter final first leg for 39 minutes in place of an injured Rafael. The 25-year old does not have any noticeable weaknesses in his game the only concern for Saturday night’s grand final is that he may be overwhelmed by the whole occasion. This though seems very unlikely as when one watches his on the field persona he doesn’t ever seem phased by much.